Martin Luther, at least according to the legend, once said we should sin occasionally to prove our victory over the devil. Historians say Luther probably didn’t, but if so, he was likely joking about the one sin of the deadly seven that tempted him: gluttony. It’s been said a craving for good food is the only passion that gets stronger with old age. Perhaps that’s why I’m always smiling when Dorette and I enter one of the excellent CRAVE restaurants in the Twin Cities. Or even a good burger or pizza joint. My father loved my mother’s cooking, especially in his old age. 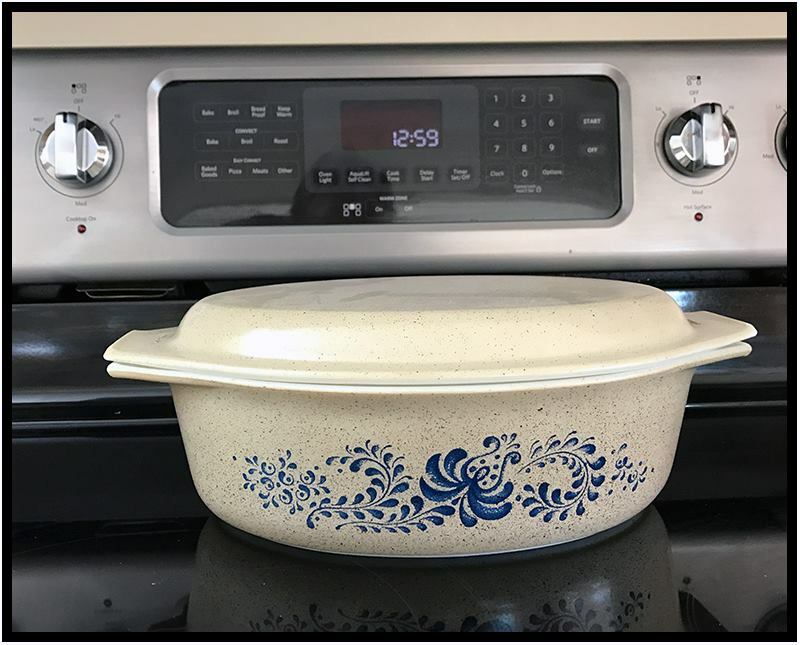 His favorite was her tuna noodle casserole, baked in the dish pictured here. It surfaced recently while Dorette and I were reorganizing storage space in her Bloomington, Minn., house. Mom’s handwritten recipe is lost somewhere in my personal archives. Come to think of it, I continue to have other occasional “cravings” even at my advanced age. At least two of them are food-related. One is for the 1.45-ounce, 210-calorie Hershey’s milk chocolate bar with almonds. The other, especially intense, is for bacon. Dave you are new to me. I’m looking forward to getting to know you. Friend me on FB please! ?